The Rose Bowl Parade is a New Year's Day tradition. This year, the parade featured larger-than-life horses, lovingly made of flowers! The float was commissioned by Saving America's Mustangs, and named Mustang Monument. It features four realistic adult wild mustang horses and one foal, galloping together on the rocky plains of Nevada. Behind them, the American Flag, a soaring eagle, and an Indian Chief. (choose the thumbnail of white horse w/brown spots). Of course, it being the Rose Parade, every surface is covered in flowers or other vegetation. In fact, the Saving America's Mustangs Float won the "Most Innovative Use of Floral and Non-floral" Award. I'd love to hear what your girls think of the float. I know my horse lover will be amazed with how large the horses are, and doubly amazed to see they are all made of flowers. I'd love to see what you or your girls make. Post photos to Facebook, or email them to me. 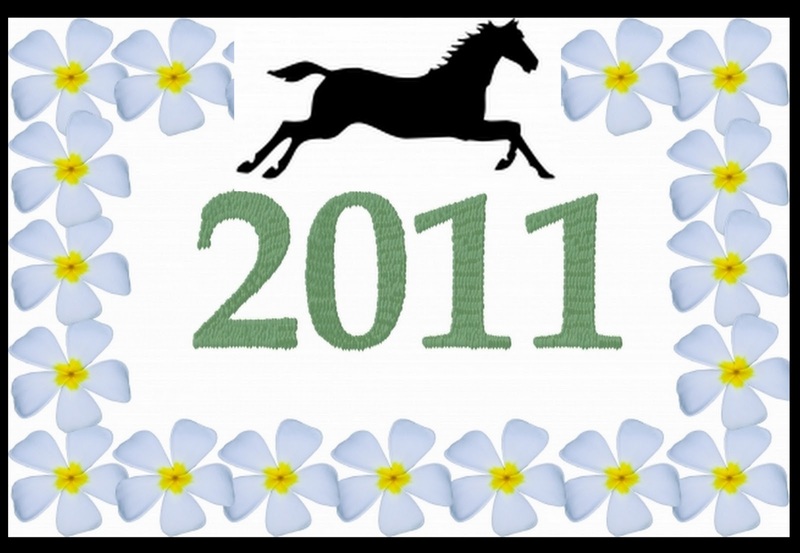 Happy 2011 to you and your horse-crazy daughters!